I've always had great luck finding music for our films. Kevin MacLeod, if you don't already know, provides free music online for you to use in your films. Battle at Beaver Creek did feature one fantastic original track by MoloKaii a rework of a Nine Inch Nails song, Demon Seed. Garf Garf was scored by Aaron Howe who goes by the name Feed Them Brains. Feed Them Brains has a lot of material, albums x 6 I think. Aaron also gave me raw tracks of different "instruments" that I could use to build themes. Feed Them Brains also gave us the soundtrack to the Bite, our first film. Aaron has waaaaay more stuff than is on his page, write him a note and demand some tracks! 2.) There was a brief "craze" of songs being slowed down a great amount, like 1000%, becoming these aural things, "something else." Choral pieces worked particularly well. I slowed Whitacre's Enjoy the Silence down 400 times, which leaves more "song structure," and plunked it over a new, moody, black and white edit of Garf Garf. ETS 400 It's a trip worth taking... on our youtube page. 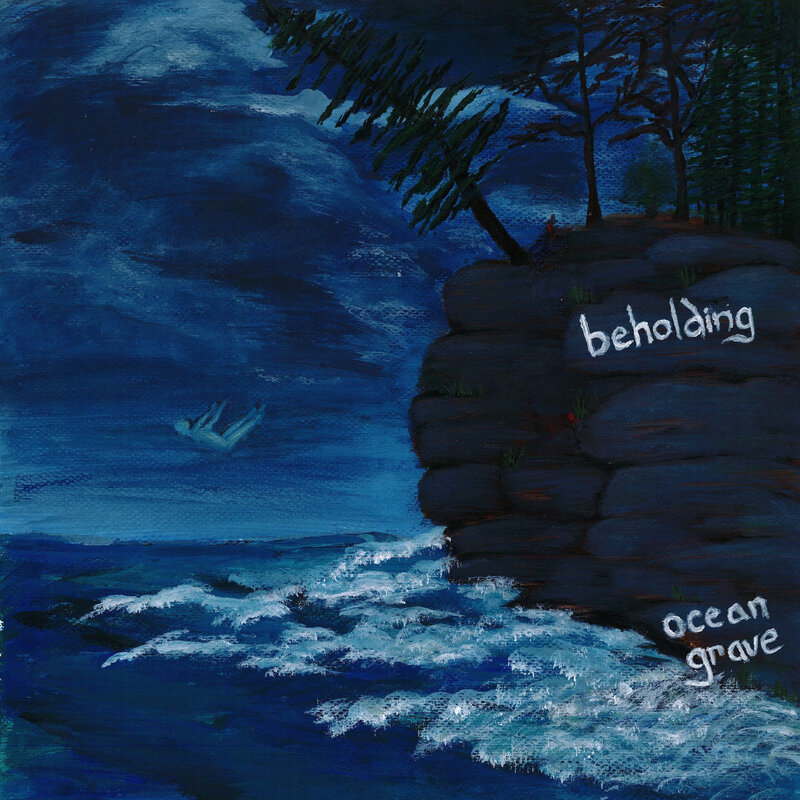 Finally I come to today where I am listening to Ocean Grave by Beholding, aka Lukas Vanderlip. I've known Lukas for a few years now, shot films with him. He ran in the woods and died in a chair for me in The Dream is Ready but I never knew he was a musician, let alone a composer, producer, engineer and super genius. I immediately fell in love with Ocean Grave and knew I had to have it for Beneath the Painted Surface. 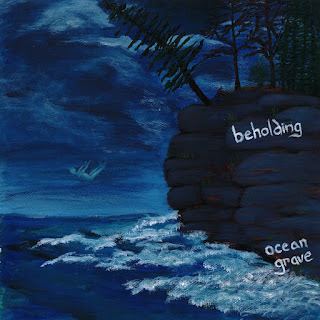 I am very pleased to announce officially that Beholding will provide a number of tracks from the album for our film. Asking was the easy part, but it turns out editing has been the fun part. The songs fit very well. I think if the average listener heard a few snippets of each song on Ocean Grave they might say that the experience was, atmospheric, instrumental, experimental, classical, moody, maybe unusual, maybe dark. Sounds like perfect film music to me, but also more than that. Admittedly, I have a penchant for noise, but I'm also a musician, I can appreciate a note for a note and a sound for a sound. Sometimes I drive my wife crazy listening to mountains of droning synths with some Himalayan throat singing or whatever. I'm all over the place. With Beholding you get a bit of both. In Northward the opening track, it's obvious this isn't going to be an ordinary musical experience. Two (or is it three or four) piano's repeat a simple theme, but one of them is an out of tune, honky-tonk piano. These tracks fade in and out, right and left, becoming passengers on a rocky rowboat. Until they end, I presume because we have landed ashore. And thank you Lukas, not only for letting me use your music, but for creating it in the first place.